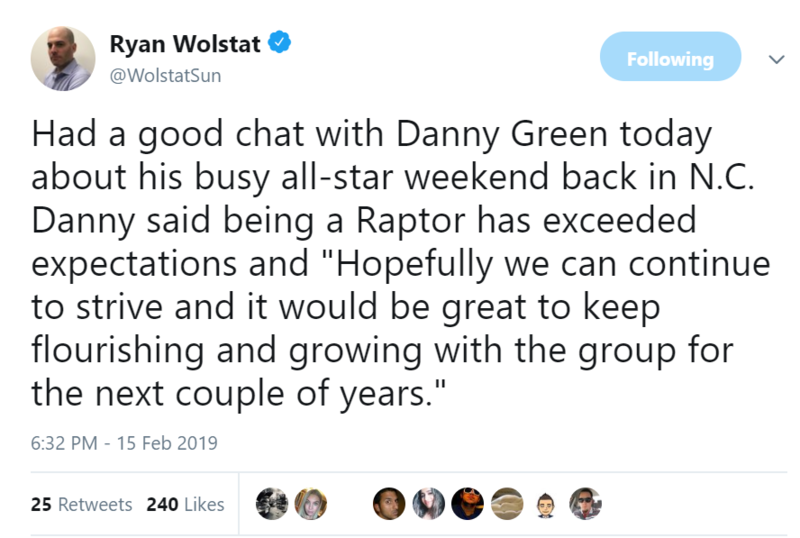 Seven months later, Green readily admits that life as a Raptor in Toronto has exceeded whatever he had anticipated. “I expected it to go well and to have fun,” Green said in a one-on-one interview with the Toronto Sun on Friday morning ahead of a jam-packed weekend. “Watching the offence last year, I expected the ball to move and I’d fit in pretty well, but I didn’t think I’d be doing so well so early,” he said. Then Green repeated something he had told me even earlier in the year, something that will surely please Raptors fans. It would certainly be nice for the Raptors organization, too, since Green was referring to a future featuring not just himself and the quality supporting cast building something moving forward, but also Kawhi Leonard and Marc Gasol. But that’s way off in the distance. Green’s present leaves no time for thinking ahead. All-star weekend is always an extremely busy few days for NBA players, but Green’s schedule has to be as jam-packed as just about anybody’s. Post-NBA trade deadline chatter: Was told the Raptors wanted Nikola Mirotic from Pelicans in a three-way trade with Magic, who wanted Delon Wright. Instead, Pelicans dealt Mirotic to Bucks, and Raptors pivoted to Marc Gasol. If Mirotic deal had happened, Gasol deal wouldn’t have. There are still questions to be answered and issues to be resolved, yet coach Nick Nurse seems quite OK at the moment. “I like us,” Nurse said as the team hit the NBA’s all-star break. And then you wait. And wait. And wait for the sentence to continue, for thoughts to come about the upheaval and the additions and subtractions and questions unanswered. The expected never comes. What the Raptors are at the week-long break is not at all what they were expected to be. 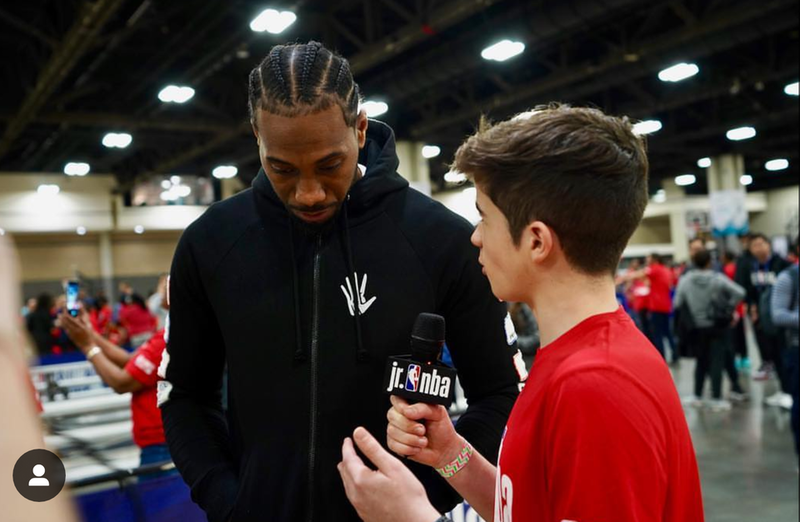 When camp began, they had a group of still young and excitable backups — the Bench Mob — and a starting group that had to figure out what Kawhi Leonard was, what they were without DeMar DeRozan and with a first-year NBA head coach in Nurse in charge. Now they are old and proven and far more grizzled than they were. Leonard and Danny Green have acclimated themselves seamlessly. The Bench Mob is dead and gone, with old heads Marc Gasol and Jeremy Lin now adding vast experience instead of remarkable speed and quickness. They are different than anyone expected, and better than most did. The four-time all-star and all-time leading scorer in Raptors history has been outspoken about his mental health. In February of 2018, DeRozan sent out a tweet that sparked a conversation about athlete’s mental health in the NBA. Along with Cleveland Cavaliers forward Kevin Love, DeRozan became the face of the NBA’s league-wide initiative to encourage mental wellness among players, staff and fans. Despite finding a new home in San Antonio, Hamilton said DeRozan’s perspective on league front offices has altered. “You can still kind of feel his sense of…he’s kind of tainted as far as the business of sports goes,” Hamilton said. It’s no secret that Green has been an immensely valuable addition to the Raptors’ roster this season. Acquired along with Kawhi Leonard, Green has carved out a starting role and is one of the team’s most important two-way talents, pairing his All-NBA defensive abilities with a potent — and timely — three-point shot. At 42.1 per cent from deep so far this season, the 31-year-old veteran is fifth among players who average five or more three-point attempts per game and leads all volume shooters with a 50 per cent rate from the right corner. 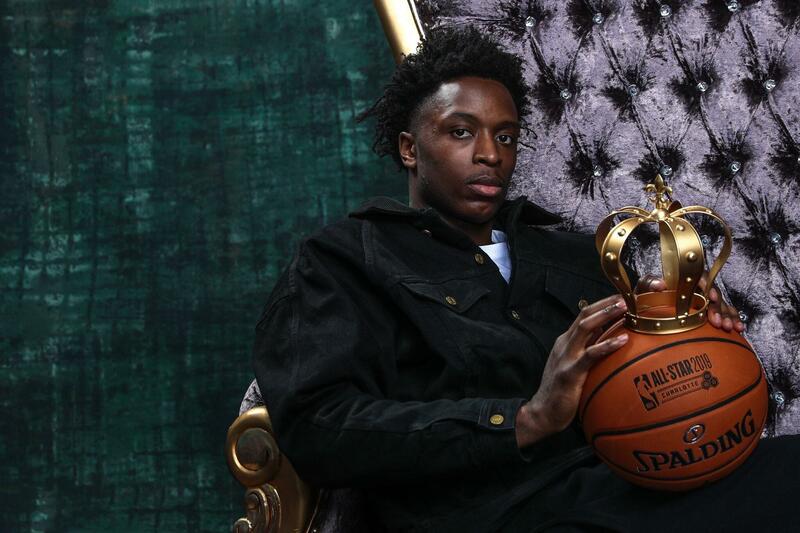 He’ll have a ton of competition in the three-point contest, headlined by Golden State Warriors superstar Steph Curry, who is sure to put on a show in his hometown of Charlotte, NC — not to mention his younger brother, Seth, will be in the field as well. Joining the Curry brothers are reigning champ Devin Booker, Buddy Hield, Joe Harris (league leader at 47.1 per cent from deep), Dirk Nowitzki, and all-stars Kemba Walker, Khris Middleton, and Damian Lillard. Life has changed for Mike Conley, even though he stayed put in Memphis when the NBA’s trade deadline came and went last week. Conley had been one of the main names being bandied about in trade rumours once it became clear that the Grizzlies were set to end the Grit and Grind era once and for all. Instead, his closest teammate and fellow Grizzlies Mount Rushmore member Marc Gasol was dealt to Toronto. “It was emotional. It was hard because part of me obviously is trying to lock in on my job and just worry about Oklahoma and just watch film and prepare but you can’t help the other 90% of me is like: ‘I’m about to get traded,’ or, ‘Marc’s about to get traded,’” Conley told a few of us on Friday afternoon. “I’ve got to call my family and am I even going to be playing tonight? “Just get it over with. Just get to two o’clock so that I know if I’m going or staying. I’m just happy that it is passed. I’m just happy to be back in Memphis and doing what I do,” he said while painting to help refurbish an apartment complex in Charlotte as part of the NBA Cares program. Conley has long been attached at the hip to Gasol, so when I asked how odd it must feel only about a week into their separation, he didn’t hesitate to elaborate. “It is pretty weird. It’s really weird,” Conley said. Instead of Gasol for a seat-mate Conley now has ex-Raptor C.J. Miles, who like Gasol is a good talker. At least Conley still has that. He now has Jonas Valanciunas in the next locker and has already grown fond of the big man, along with Miles and Delon Wright. Apple has launched a new ‘NBA Collection‘ of Beats Studio3 Wireless Headphones. Each of the new finishes incorporates the logo and colours of the six NBA teams included in the collection. The Raptors White headphones, for instance, feature red and gold accents as well as the team’s logo. Like every pair of Beats Studio3 headphones, the new models feature Apple’s W1 chip, up to 22 hours of battery life and users can take calls, skip songs and control playback volume using Siri. The headphones cost $399.95 CAD. Despite losing to the Celtics in their last meeting, the Toronto Raptors can easily come out of the East with their talented roster. After trading for Marc Gasol before the trade deadline, the Raptors have become even more scarier due to his incredible defense and ability to space the floor. Led By Kawhi Leonard, the Raptors have the ability to shut down a team’s best player, which is a big advantage to have in the playoffs. Having Serge Ibaka and Gasol paired up, the Raptors easily have one of the strongest front-courts in the conference. A breakout season for Pascal Siakam (16/7/55%) only makes the Raptors more dangerous with their size and depth. It won’t be easy, but the Raptors could certainly make a Finals appearance after some disappointing playoff runs in past years. Like the Raptors and Bucks, the Philadelphia 76ers stayed active at the trade deadline acquiring Tobias Harris from the Los Angeles Clippers to form a “Big four”. With a lineup composed of Joel Embiid, Ben Simmons, Jimmy Butler, and now Harris, the 76ers can definitely climb up the ladder from the fifth spot to be one of the candidates to get out of the East. Although they’ve struggled against teams in the East, specifically the Celtics (0-3 this season), the team is strong enough to make some noise this postseason. Embiid is having a career year, with career highs in points (27.3), rebounds (13.5), and assists (3.5) which will be hard to stop come playoff time. The 76ers also now have a relatively deep bench after acquiring both Boban Marjanovic and Mike Scott in the Harris deal. The 76ers need to still prove they can win in the postseason, much like the Bucks, but for now as the team chemistry improves we could give them a strong case to advancing to the NBA Finals. This is an excellent move by Nuggets governor Josh Kroenke and shows that he has learned from his previous mistakes. A few weeks ago while on the radio show “Kreckman and Company” on Altitude Radio, Kroenke had spoke briefly on the negotiations between Tim and him and stated he was confident a deal would get done. That naturally made Nuggets fans weary, as the last time Denver entered an offseason with their top executive unsigned but with hopes to retain him they lost then VP of basketball operations Masai Ujiri to the Toronto Raptors. After Ujiri brilliantly navigated the Carmelo Anthony trade and found success in the later parts of the first round in the draft he became a hot commodity. It was believed that he and Kroenke had a verbal agreement in place but that was never confirmed. When it came time to negotiate, the Raptors, Ujiri’s former team, made him an offer Kroenke knew he couldn’t match. After Demps’ firing today it seemed like the exact same scenario may be destined to play out with Connelly. Like Ujiri, he’s done a masterful job of transitioning to the next era of Nuggets basketball. Connelly’s most famous move is of course finding the gem that is Nikola Jokic with the 41st pick in the draft in 2014, but there have been many other commendable moves.